• Thumbs up. Michelle Watson, a young Arizona woman, smiles and gives two thumbs up to the camera for her mugshot. Watson faced charges in 2011 for DUI, aggravated assault of a law enforcement officer, and resisting arrest. She appears strangely proud of her accomplishments. • Happy Birthday in poor taste. On Scott Disick’s (Courtney Kardashian’s long-time partner) 31st birthday, Khloe Kardashian posted pictures of his and her mugshot from past DUI charges online. 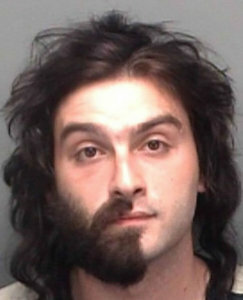 Both appear disheveled in their mugshots, and the posting received public backlash for making fun of a serious matter. • Too much of a head tilt. Photographers will tell you to tilt your head slightly for a more flattering picture. Erica Garcia tilted her head a little too much. Her off-center mugshot features her head leaning over to one side with her mouth open, as though she’s in the middle of a conversation. She faced felony DUI charges after wrecking her car in Sacramento. Law enforcement uses mugshots for arrest files, but they also post the images for public knowledge. If you face arrest, standing out in a mugshot can hurt your credibility and reputation even if the courts clear you of all charges.